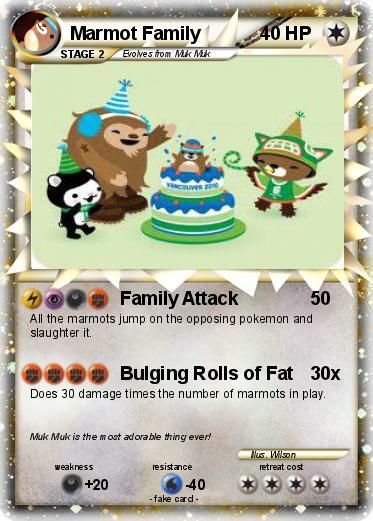 All the marmots jump on the opposing pokemon and slaughter it. Does 30 damage times the number of marmots in play. Comments : Muk Muk is the most adorable thing ever!